January 2017 Fab Bag Review || Bring It On! Pink has been getting my attention since last week and somehow I wanted to buy something in hot pink! As if right on cue, the ‘Bring It On!’ January Fab Bag was delivered yesterday right on schedule! And guess what! 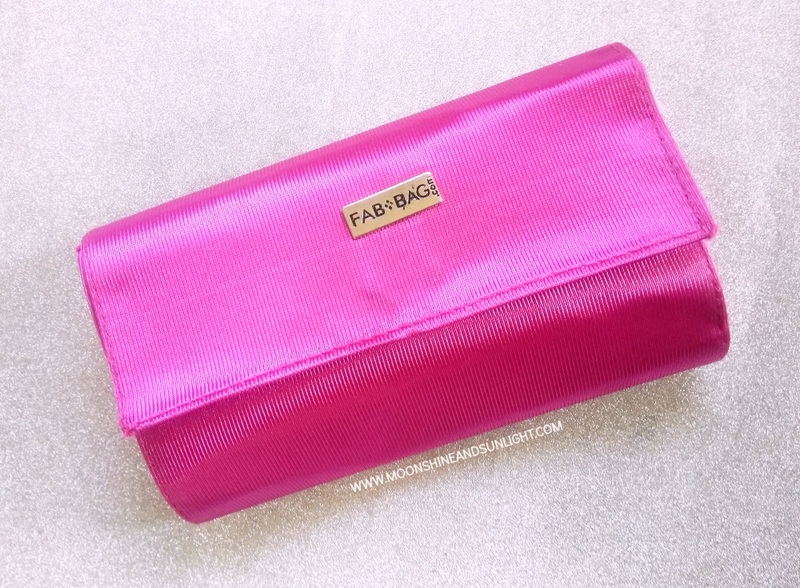 The Fab Bag is hot pink in color! I absolutely love what Fab Bag is doing every month! Including a makeup product every month based on personal selection is Fab indeed! They had an option of choosing a Sugar matte lipstick and this one, but since I received one in my July Fab bag , I thought of trying out a new brand. I like the color as well, it’s a lovely neutral shade. A full size mask is always welcome. I have been trying an under eye cream from O3+ and I quite like it. Let’s see how this one is. A new Indian brand. I am really interested to see how a caffeine based face wash works! Decent size of the sample as well. Well, I usually use garlic directly on my pimples. I don’t know if a cream would be that effective! Have to find that out. Excited to try this out. A decent sized sample as well. I will be soon reviewing a few products from the EIMI range and will definitely add this there. But, this is a small sample, but I also think only a little is required per usage so this will last for some time. All in all, I like this edition of the Fab Bag. 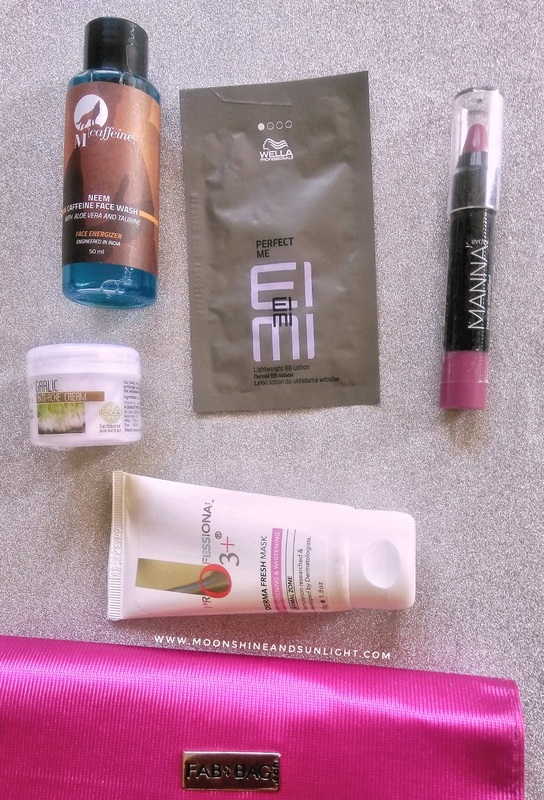 There is a good mix of skincare, haircare and a makeup product as well. Also, I really like the bag itself! Do let me know your views about the Fab Bag in the comments below. Garlic on pimples.. Really?? How does that work? I have never tried it.